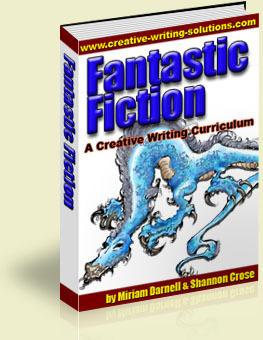 GOAL: Using this creative writing curriculum, write a rough draft of a 6-20 page fictional story, or a chapter of a novel, using all of the advanced techniques outlined in this creative writing curriculum. Time frame: Approximately 6-10 weeks. Being a gifted/learning-disabled child has afforded me the unexpected privilege of discovering new regions of my brain that few have ever explored. Because of this, I’ve come to look at things upside down and backwards. This tendency comes in handy while teaching Language Arts at the Brideun School for Exceptional children. Brideun kids are unique learners who have blockages in their input or output capabilities. Our job as teachers at Brideun is to find alternative pathways in order to get to the same knowledge destination. This writing lesson plan is a product of my efforts teaching at Brideun. Creative writing is my favorite thing to do and my favorite thing to teach, and my creative writing curriculum reflects this. And it was my favorite activity when I was a young child too, though god only knows why. I was a terrible speller. I couldn't sequence to save my life, and with my poor memory, I tended to lose track of where my story was supposed to be going. On top of this, my teachers dwelled endlessly on the importance of good grammar, punctuation, sentence structure and how to spot a verb, but never taught me how to tell a good story that would keep my audience interested. I was never taught how exciting the written word can be when presented in a thoughtful way. Writing for me was feeling around in the dark with no guidance, other than how to put properly spelled words in a proper order on paper and make sure the periods were in the right places. I couldn't make my readers care about what it was that my words were saying. I had incredible stories with realistic characters going on in my head all the time, but no idea how to make them real on paper… how to make other people see what I saw in my mind's eye. Despite all of these disadvantages, I continued to write for my own pleasure all through my school years. No thanks to some of my Language Arts teachers, who, if I hadn't had such an internal drive to write, would have quickly driven all interest in writing out of me in the first year, with their aimless rantings about proper grammar. I learned my grammar all right, which came in quite handy when writing technical papers, but until just recently, I didn't know how to put two words together that had an emotional effect on my readers. How could I know? I was never taught this. I was never taught how to create a character that other people could relate to, or what elements went in to making an exciting page-turning story. I was never taught that concepts such as foreshadowing, symbolism and emotional awareness add depth to a story and give it an artistic edge. Most children aren't so lucky as to have an internal drive to write. When they have a writing disability and all they are taught is the horribly dry and seemingly pointless method of mechanically correct writing, they lose their creativity and imagination; they lose the joy of just telling a good story. For some of these kids it becomes mind-numbing just to lift a pen (This creative writing curriculum will help you to help discover and ignite their creativity and imagination). At the Brideun School, my writing lesson plans teach creative writing backwards, the way I wish it had been taught to me. Backwards, meaning the application of the skill before the perfection of the skill. And we don’t have a single child in the building now who doesn’t like to write. The advanced writers enjoy learning about writing from this perspective too. It’s basic enough that learning disabled students, even as young as eight years old, can understand it, yet it adds a new complexity to writing that challenges gifted writers to think about their work differently as well. In ancient times, stories weren't written down at all. Spelling and grammar didn't exist. What was important was the story itself. The characters, the plot, the setting, the drama with which the story was relayed to a captive audience. In my family, Sunday nights were reserved for read-aloud. My mother read to the family from a cherished novel, and we were carried away by the amazing fantasy worlds that unfolded for us. I was always so surprised by how different the experience was for me when Mom finished a book and I loved it so much that I read it again to myself. It never sounded or looked the same. The process of decoding words on paper when reading a story can diminish the narrative in so many ways. Just as focusing on mechanics in writing, especially in the first draft, can cause a writer to lose sight of the story and the characters - the things that matter most. To get back to the roots of good story telling, have your students read their work aloud to the class, or to a small group. This way, they’ll hear the flaws in their own work and strive to make it sound better – which is the ultimate goal here anyway. So, to put characters and plot first, not grammar and mechanics, Shannon and I have created this creative writing curriculum that can be used in the classroom, or in writing clubs, or in home schooling settings, or any other way you wish to use it. Drop us a line sometime and let us know how it goes! This writing lesson plan was designed to get reluctant kids to learn to enjoy writing and develop their creativity. Creative Writing Curriculum © 2005, Druidawn, Inc.